Orchids represent some of the most exquisite and complex strategies plants created to thrive among the larger species. There's much information online about orchids and with this post I will only try to insist on the diversity of colours and shapes the portuguese species can come up with. Hope you enjoy stopping by. 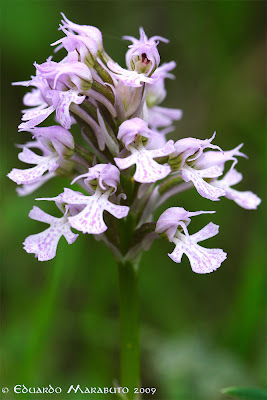 Orchis conica, a fairly widespread species in the southern half of Portugal. The flowers just look like some dolls /girls clothes!